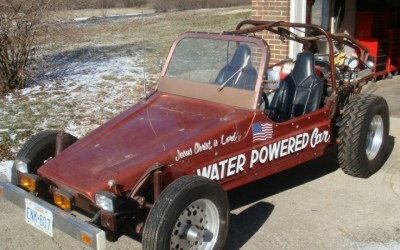 In a news report on an Ohio TV station, Meyer demonstrated a dune buggy which he claimed was powered by his water fuel cell. He estimated that only 22 US gallons of water were required to travel from Los Angeles to New York. Furthermore, Meyer claimed to have replaced the spark plugs with "injectors" which introduced a hydrogen/oxygen mixture into the engine cylinders. The water was subjected to an electrical resonance that dissociated it into its basic atomic make-up. The water fuel cell would split the water into hydrogen and oxygen gas, which would then be combusted back into water vapor in a conventional internal combustion engine to produce net energy. There is no documented proof that the system produces enough hydrogen to run an engine. To date, no peer review studies of Meyer's devices have been published in the scientific literature. An article in journal Nature described Meyer's claims as one more "water as fuel" myth. 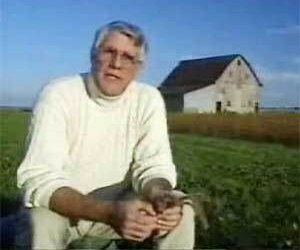 Stanley Meyer died suddenly on March 21, 1998 after dining at a restaurant. An autopsy report by the Franklin County, Ohio coroner concluded that Meyer had died of a cerebral aneurysm. Conspiracy theorists insist that he was poisoned to suppress the technology, and that oil companies and the United States government were involved in his death.